In the theory of generative phonology, the phonological grammar of a language is regarded as a function from underlying to surface forms: /kæt þz/ ! [kæts] ‘cats’. Underlying and surface form are known as levels of representation, and the mapping between them is a derivation. 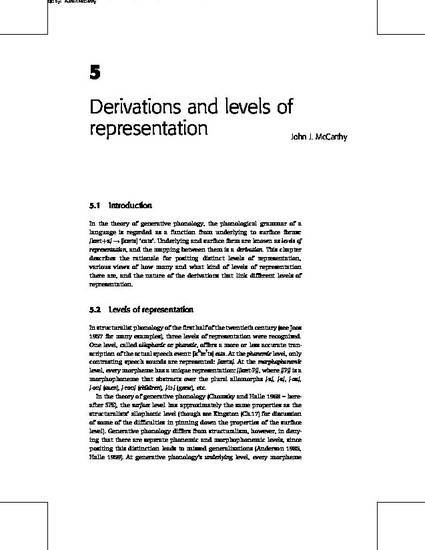 This chapter describes the rationale for positing distinct levels of representation, various views of how many and what kind of levels of representation there are, and the nature of the derivations that link different levels of representation.